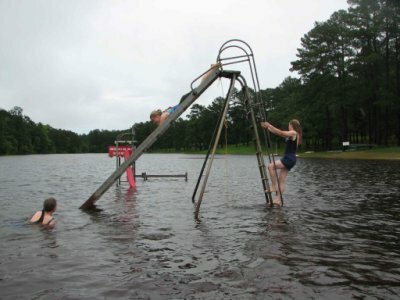 We have had a ton of rain this last week – so much, that the lake is way above all normal boundaries. 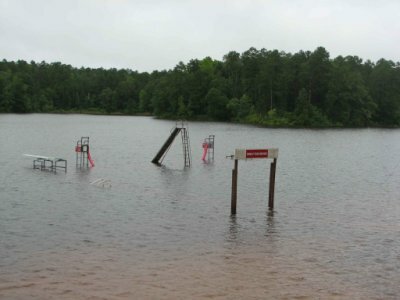 Below is a picture of the dock…or everything on top of the dock. 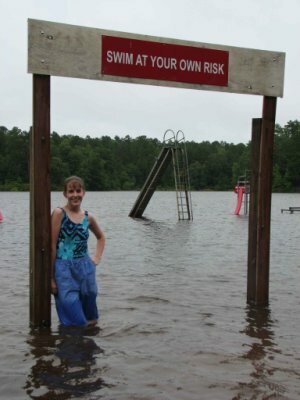 Here’s a picture I took just last week – the water as it is now, would be up to the girl’s knees! Lori, shows the entrance to the dock. 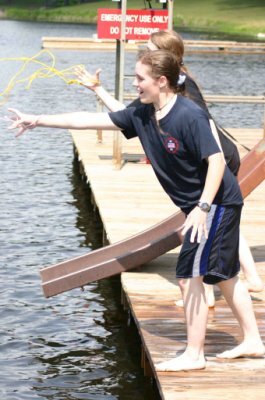 Of course, we had to take advantage of the unusual situation and had a blast swimming on the dock.